Winterset is the county seat of Madison County. The most recent census shows our population to be 5,190. Whether you’re a resident or a visitor, we’re glad you visited our page! Stop by frequently for the latest news and information, and follow us on Facebook and/or Twitter for announcements. 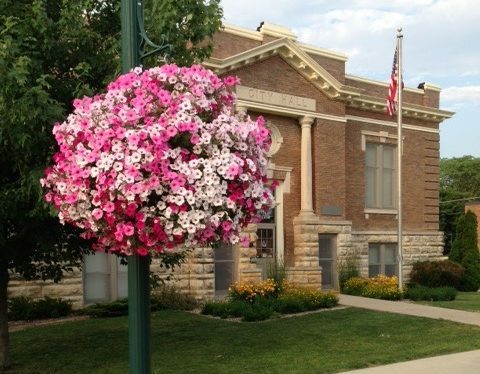 The Winterset City Hall is the home base for many of the city services: Municipal Utilities, which handles water and electric, Park & Recreation, Code Enforcement, Building Inspections, and Administrative Services, which handles the daily operations of the city. And, of course, City Hall is the information hub for just about any other question you may need to know about the city of Winterset. The friendly, knowledgeable staff here welcome the opportunity to assist you! Our office at 124 W. Court Ave. is located in the city’s restored Carnegie Library building, constructed in 1905. Online payments are now available! Check the Winterset Municipal Utilities page for more information. See Terms & Conditions for Utilities Payments. Welcome to Winterset! 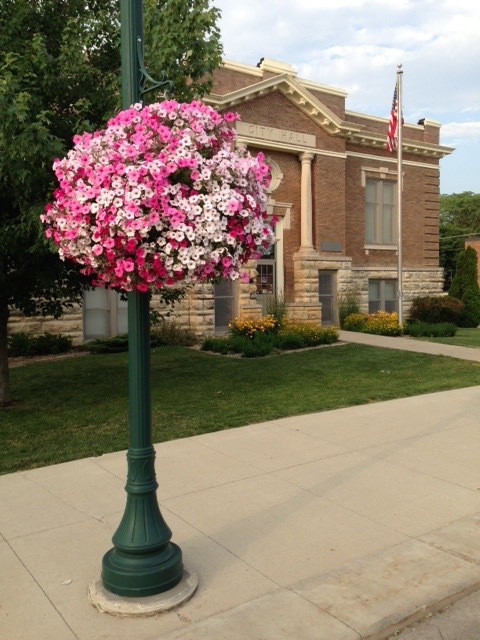 Winterset is such a beautiful place to live, work and play. This is my first year as your City Administrator and I am both honored and humbled to be able to call Winterset my home. There are so many amazing things to see and do here. Of course, you know the infamous John Wayne was born here and there is a museum in his honor. The bridges of Madison County were already famous but were made even more so after the movie The Bridges of Madison Countywas filmed here. Beautiful parks, camp grounds, Clark Tower, covered bridges, aquatic center, amazing library, George Washington Carver Memorial Park, neighborhood parks, Jurgenson Bridge on Cedar Lake, the beautiful historic Downtown Courthouse Square that was recently put in the National Register of Historic Places, all of the genuine, beautiful and unique businesses along the square and throughout the City and that’s not all! There’s so much more to see and experience! No matter where you go and what you do here you will experience a true sense of pride and community. The good ole traditional American values aren’t lost! Family, tradition and preserving our history is so important to us. Whether you are here to visit for a short time or you are here to live, work, or both, please take the time to see the beauty around you and experience all that Winterset has to offer and to see why we are all so very proud to call Winterset our home! My office is located in City Hall and my door is always open. Feel free to strop by, call or email me if you have any questions, concerns, or just want to introduce yourself and say hello.